All too often employers are stuck in a situation with a new employee who has overemphasized or fibbed about his or her qualifications for a position. To better choose candidates, many professions use working interviews to test a job applicant's knowledge, skills, and abilities prior to making an offer of employment. The interview consist of seeing how the applicant interacts with staff, clients, and patients and often involves participation in routine employment activities over several hours or days to evaluate the candidate. But are working interviews legal? The quick answer is yes, but probably not the way you do it! The IRS and Department of Labor regulations start with the premise that if someone is doing work for your company they are classified as either an employee or independent contractor and must be compensated for his or her time. That compensation must be in line with labor laws, such as the minimum wage requirements and tax withholding. If the person is deemed an employee they must complete the pre-employment paperwork including an I-9, W-4, and be setup in payroll for tax withholding. The employer will be responsible for its payroll taxes and employer tax obligations on top of the time, expense, and headache that goes along with it. If a person is deemed an independent contractor, which may be unlikely given the factors explained in our previous entry on 1099 v. W-2 status workers, the employer would collect a W-9 and issue a 1099 at the end of the year (depending on the amount of compensation). Once again, a headache. Oh and do not think classifying the interviewee as a volunteer, intern, or extern would change anything. Misclassifying a worker could result in even higher penalties for non-compliance. Even if you hired them as a "temporary" employee the above tax implications would apply. Furthermore, failure to properly classify the worker means they will not be covered by worker's compensation insurance should they get hurt during the "working interview." If you do not want to go through the steps of paying job applicants to test their skills then just set up a skills test. For example, a veterinary hospital may want to interview three potential associate veterinarians, but would otherwise have no way to gauge each candidate's surgical skills, laboratory efficacy, or bedside manner. To evaluate the candidates the hospital could set up fake lab samples to be read, use previously treated patient charts and lab results to test for diagnostic accuracy, have the applicant verbally walk a doctor through a surgery, or use an owner's dog or office pet for roleplaying an exam. Because the applicant is not performing work for the hospital, and the hospital sees no financial benefit from the testing, a skills test is viewed simply as part of the interview process to evaluate knowledge, skills, and abilities. Additionally, the interviewee should be covered by a general liability policy should something go awry while on the premises. Of course, never rely on any interview procedure alone to evaluate an employee. Most employees are on their best behavior during the first 30 days of employment. A well-managed practice will have an employee handbook in place with probationary periods to evaluate newly hired employees over periods upwards of 90 days before providing benefits, such as sick days or even salary increases. Do you consider your pet(s) as more than personal property? I believe most pet owners would agree, but then again most pet owners do not consider his or her pet when making estate plans. Learn how a Pet Trust might be your best option to plan for your pets health and well-being as part of an estate plan. The bourbon boom has sparked interest in many entrepreneurs looking into niche market bourbon-and-whiskey themed bars and packaged liquor stores. The trends for us bourbon aficionados are well-taken, but for those of us in the business of liquor law the value in efficient quota transfers are also on the rise--which could make that bottle of Pappy Van Winkle you camped out for cost even more in the near future. The thought of classifying a worker as an independent contractor is appealing to small business owners. The main benefits of a 1099 independent contractor are that the company does not have to withhold income taxes, social security, medicare, city tax, county tax, school tax, and doesn't pay unemployment compensation or the employer's share of the aforementioned payroll taxes. Instead, it is the 1099 independent contractor's responsibility to account for his/her/its own tax liability. The only remaining obligation on the employer is to issue a 1099-MISC form at the end of the year (if the contractor is paid more than $600/year and not a C-corp). Although an employer has free reign to choose how to classify workers, a misclassified worker can result in severe penalties and interest to federal, state, and local agencies (i.e. the IRS). Misclassification of a worker as 1099 independent contractor when he or she is truly an employee will result on underpayment of payroll withholding liabilities and ultimately fines and costs associated with the underpayment. The various agencies can also impose statutory penalties in the $1,000's for each violation. More importantly, the fines and costs can attribute to losing your occupational permit/business license or other specialized licenses (such as the state's refusal to renew a liquor license or a professional licenses). Getting caught is not as hard as you think either. As soon as a worker is terminated and files for unemployment compensation or social security benefits you will be alerted to the failure to pay the required payroll liability. From there the violations can snowball across the various agencies. Behavioral: How much control does the employer have as to "what" functions the worker performs and "how" the worker performs those functions? The more an employer keeps the proverbial thumb over its worker the more it appears the worker is a true employee. Factors often considered: Employer's level of instruction, amount of training, extent of autonomy to complete services, control of assistants, continuity of relationship between the parties, flexibility of schedule, demands of full-time work, need for on-site services, required sequence of work, and requirements for reports to be generated. Financial: Are the business aspects of the worker's job controller by the employer? The factors considered here are: Whether the worker is paid by the job or regularly, how expenses are reimbursed, who provides tools and materials, whether worker maintains his/her own facilities, who realizes profits and losses, whether worker performs functions for more than one company, control over discharge, and right of termination. Relationship: Are there written contracts or employee type benefits? Will the relationship continue for a specified period of time? The longer the relationship continues and appears like an employee/employer relationship the greater the chance the person is an employee. But the agency will consider a written agreement between the parties as evidence of their relationship. The best way to protect against a misclassification is by a contract that specifies the relationship between the parties with an emphasis on the factors listed above. An independent contractor agreement provides clarity not only between the parties but also to third parties interested in the relationship, such as the IRS. There is a delicate balance of the factors in which a knowledgeable business attorney can help with, but practically speaking a contract which sets forth factors in favor of employee status but states the worker is an independent contractor will not suffice. At the end of the day you will have to act the part set forth in the contract, i.e. file the appropriate 1099-MISC returns and follow what is written. If you have any questions regarding contractual issues or employee relations please feel free review the IRS standards regarding this issue or contact your attorney. Anthony Mahan is the managing attorney at Mahan Law and practices in the areas of business law, civil litigation, and estate planning. Unless you are a cash only business, which in my estimation would deter a significant client base, you DO extend credit to customers. Checks have to clear bank accounts, credit card transactions must be processed (and are subject to 60 day dispute period), and third parties such as insurance companies and government agencies all delay business cash cycles. What is even more likely is that you provide payment terms to your clients by a form of delayed billing (i.e. Net 30) or even payment upon completion. Extending credit to customers is necessary to grow just about any business, but there are several considerations your business should make before extending credit term. First, always have clear contract terms with customers. Even a simple contract with your customers, such as a new client form, can spell out desirable terms should customer relationships break down. The main clauses that are beneficial in Ohio and Kentucky are attorney's fees, interest and costs provisions. Should you have to pursue legal action to collect upon an account you can shift your attorney's fees and court costs to be paid by the debtor if it is in a contract. Additionally, because collection activities can take years you will want to earn interest on the unpaid principal. Ohio and Kentucky each have usury laws that set the maximum amount of interest depending on the type of transaction. However, an interest clause must be in a contract and not merely written on the face of an invoice after services were rendered. In my experience the industry standard for unpaid accounts is 18% annually, but can be more or less depending on the transaction. If you are in the business of making several small transactions it is imperative to have these two clauses in a simple contract or else the legal costs of collection would outweigh the principal amount recoverable. Second, if dealing with a company consider obtaining a personal guarantee from an owner. A personal guarantee shifts debt obligations to an individual person instead of a business. Not only does the threat of personal debt collections increase the probability of a quick resolution, it also opens the doors to a number of additional asset sources. Obtaining a personal guarantee requires specific language in a written contract along with other strict requirements set by the individual state. Third, consider creating a security interest. Article 9 of the Uniform Commercial Code makes it possible to secure debt obligations by attaching a legal interest to debtor's collateral. For instance, if your business sells a large good on credit terms, such as a furnace, then at minimum you should retain a security interest in the furnace until paid off. Otherwise, the furnace would become an asset of the customer or even possibly a fixture to a landlord's property. If the customer's business goes under or files for bankruptcy the asset could be sold at auction to pay off the many other creditors--not just you. However, with a properly structured security interest you could retain a priority interest in the furnace, repossess same, and keep all proceeds from the sale yourself. Your attorney could also seek relief from a customer's bankruptcy and retrieve the equipment instead of waiting for the bankruptcy process to be completed. Finally, do not throw good money after bad or sit on your A/R. Know when to call the ball! If a customer has credit terms of Net 30 and they are 90+ days behind do not continue to extend credit terms or services. Essentially you are doubling down on your accounts receivable and the likelihood of getting paid decreases as time goes on. If you wait too long to try and collect on your accounts receivable you will find that people and businesses move, memories of the transaction fade, addresses change, phone numbers change, businesses sell or go out of business, etc. Eventually, debts can become legally uncollectible for being stale (or outside the statute of limitations). Even if you turn your debts over to your attorney or collection company the fresher accounts are always worth more and should yield a higher rate of return back to you. The Mahan Law office regularly advises clients on its receivables and structures business transactions to protect your ability to collect upon non-paying clients. We even provide flat rate small business retainer plans that cover just about all of your company's legal needs, including collections, upon a reasonable monthly retainer. Please contact attorney Anthony Mahan for more details. In the summer of 2012 I was fortunate enough to be a summer law clerk for Justice Wil Schroder on the Kentucky Supreme Court. While there I remember having a discussion about two horses named Poco and PJ that were the subject of a 2001 opinion written by then Judge Schroder on the Court of Appeals. Now that my wife and I own Riverview Animal Hospital and I represent several veterinarians, boarders, and animal clinics I am certain that anyone dealing with pets on a regular basis should know the story of Poco and PJ and how Kentucky courts value animals as more than property. Poco (14y) and PJ (13y) were dearly loved horses and treated like "children" by their owner (sound familiar?). However, the owner became ill with a variety of medical problems that made it difficult for her to care for the horses by herself. The owner did not want to sell Poco and PJ and instead approached Taylor, a farm owner, willing to do a "free-lease" agreement and keep the horses. Taylor also agreed the owner could visit when she wanted and would return the horses to the owner if she decided to no longer keep them. Within a few days of receiving the horses Taylor sold them for $1,000 to a known slaughter-buyer. Within a week the owner requested to visit her horses and Taylor lied stating she had given them to an unknown man she met on a trail ride and later convinced a friend to join the ruse. After sending the owner on a wild goose chase via directions to a fake farm in Indiana the owner discovered through a local humane organization the horses had been sold for slaughter. Owner sued Taylor requesting, among other things, compensatory and punitive damages based upon emotional damages for the loss of her beloved pets. Defendants argued that Kentucky only permits recovery of the property value of the horses. The Kentucky court of appeals upheld an award of $126,000 stating the tort of intentional infliction of emotional distress depends on the facts of the case as to the offender's conduct and not to the subject of said conduct (i.e. horses). Intentional infliction of emotional distress is available so long as (1) the wrongdoer's conduct is intentional or reckless; (2) the conduct is outrageous against the accepted standards of decency and morality; (3) there is a connection between the conduct and the emotional distress; and (4) the emotional distress is severe. As courts progress it is my opinion that the standards of intentional infliction of emotional distress will find its way into veterinary malpractice cases and other pet liability actions. Additionally, Kentucky and other state courts have begun treating animals as humans and setting up trust funds for negligence awards or otherwise finding value beyond market value--like an heirloom. In either event, courts are increasingly coming to terms that we value pets beyond a remedial market value. If you or your business have questions regarding intentional infliction of emotional distress please contact us. Attorney Anthony Mahan is co-owner of Riverview Animal Hospital and member of the American Veterinary Medical Law Association. Generally speaking, bad check laws make it a criminal "theft" offense to bounce a check for a contemporaneous exchange of goods or services. As a result, businesses can turn over these types of bounced checks to their County Attorney. The County Attorney can bring theft charges against an individual (usually not businesses) to collect upon the bounced check by way of restitution in the criminal action. Restitution would include the amount of the check in addition to a fee charged by the County Attorney. This means generally you are not out any legal fees when pursing a bad check this way. The shortfall of this method is (1) it is only for contemporaneous exchanges and not debts upon an account, (2) it is generally against individuals and not businesses, (3) it often results in a court order to repay, but the County Attorney does not have the time or resources to pursue collections by way of executions on property, liens, wage, or bank garnishments, and (4) the County Attorney may not be aware or pursue civil remedies such as treble damages. Debt collection agencies also pursue debts of small businesses and have an added advantage of specific knowledge relevant to debt collection laws. These agencies normally have collectors that track down debtors and make written and/or verbal demands for payment. Most of all the advantage here is that the larger agencies have a national presence to help pursuing debtors throughout the United States. 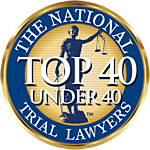 Fees for these agencies can be upwards of 50% of the amount recovered plus any suit fees and litigation expenses incurred. The downside is that these agencies normally go after the easier accounts (persons willing to pay or set up payment plans) and turn over the more difficult accounts to debt collection attorneys and law firms. This means that they are often collecting upon accounts that would have paid you directly and are getting paid as a middle man to turn over all other accounts to attorneys. Debt collection is a specialized field which can be problematic for attorneys without experience collecting upon judgments. Just about any attorney would be capable of successfully obtaining a judgment against someone that owes you money due to breach of contract, but they may not be versed in the methods of enforcing the judgment to obtain money. Furthermore, attorneys that do not have significant experience with collections will either charge hourly or typical contingency fees of 1/3 any amounts collected. A general practitioner will often charge anywhere from $100.00 to $250.00 just to write a demand letter. Debt collection law firms typically have specialized software that will calculate interest upon breached contracts or accounts, skiptrace debtors to find assets for collection, and can monitor files over long periods of time for payments. Attorneys with collection experience have knowledge of the specific debt collection laws and specific court requirements. The caveats of this approach is that debt collection firms generally charge contingency fees upon any amount collected. The incentive is therefore to settle accounts as soon as possible and avoid extensive litigation (although there are some firms that provide all around collection proficiency). Here however you will likely pay the contingency fee even if the account settles on the first attorney letter. At Mahan Law our goal is to have an integral and personal relationship with our clients. We do this by offering small and mid-sized businesses monthly retainer programs that provide flat monthly fees for all routine legal services. For our monthly retainer clients we will try to collect on debts, or defend improper collections, without any additional fees or contingency up to the point of a lawsuit being filed. At that point our retainer clients enjoy a reduction in both suit fees and our contingency rate should we need to go to court for any collection. The reason for the reduction in fees is simple--we are confident that by utilizing our services on a monthly basis you will be proficient in the way you transact business with customers either by contract or account making the entire process easier. We will also have a better understanding of your business because we have helped you along the way. Clients with routine collection activities often enjoy higher return on collection activities because they are not paying flat fees for attorney letters or any contingency on money received from non-litigated activities. For more information on our services please contact us.